CUBO employs Italian artisanship to elevate your personal space to the next level - Italian Full Project Living. Keeping the tradition of beauty and creativity. Genuine 100% Made In Italy, remains untouchable and also quality is certainly one of them. It is the tradition to keep. The kitchen environment opens to new dimensions of interior design. The coziness, its multi-functional and its unique way that linked to the rest of home, thanks to non-conventional modules and strong finishes. Build a wardrobe rather than focusing on the trends because everyday is a fashion show and the world is your runway. Empowerment of attitude or attire. 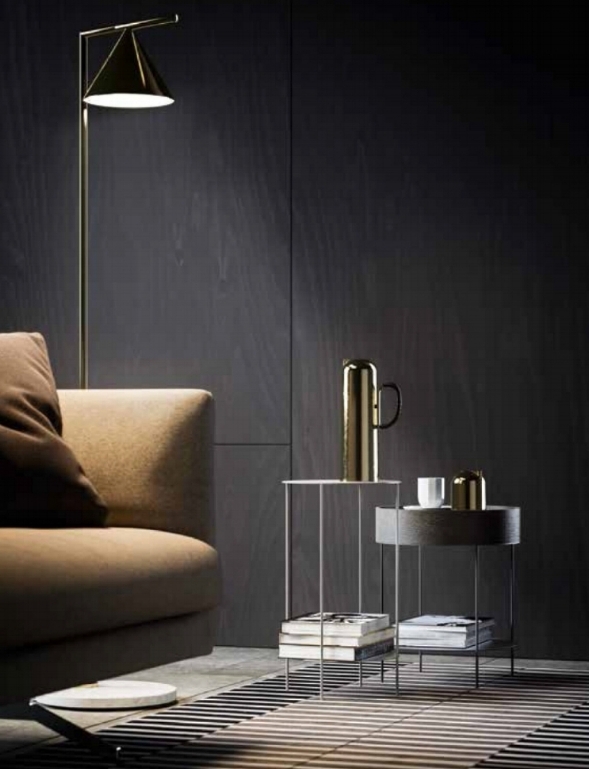 If you need your guests to have an unforgettable experience, style your home with minimalist, contemporary furniture and elegantly artistic lighting. Reinterpreting our living space... minimization of space and maximization of functionality. The design is thought-out right down to the smallest detail and inspired by the Made in Italy style. It is made of poetry and emotion, quality and sturdiness of the materials chosen to last in time, because for us - Italian, cooking is a serious business. Both island and tall unit door panels are in Cement Concrete Resin Door; Worktop is in vintage stainless steel (80mm thickness) along an extension of solid wood snack corner with glass panel-leg support. Integrated hob, double-bowl sink with sliding cover, drainer, sunken counter garden where your herbs instantly at your fingertips! Like the waves, MAROSI Island design philosophy rooted in the concept of fluidity geared towards practically while preserving its style and charm. The island is sculptured out of CORIAN with integrated sink and hidden shelves elevating out from island when required in action. In the background, the long modules of 2.4m is more than a mere series of shelves, it creates unexpected amount of space; and with coplanar sliding door mechanism, the doors just simply flush with each other that eliminates excess bulkiness. Elegance is a matter of balance. It is the proportions of materials and combination of colours that make the difference - Grigio Londra FENIX with Sincro Wood. Mix and match of material between the traditional, wood finishes, and new cutting edge of nanotechnologies, FENIX. Our wardrobes suggest who we might have become, and where we might have gone or perhaps, our dreams of other worlds. Furniture contains numerous traces of what we are and who we are and who we think we are. What is the value of a table? Like all pieces of furniture, lies in its history. We might make it, but furniture in turn makes us. It shapes us, defines us, and determines our everyday lives. COMPACK LIVING a new solution to halve overall dimensions of doors. The Compack Living 180® system is a new hinge for folding doors with an ergonomic, stable and silent movement. It provides for an innovating 180° opening or a 90° traditional opening. The system system allows to design new furnishing solutions, thus freeing up the space next to the door opening, owing to a reduction of the overall dimensionsboth during opening and wall leaning. ERGON® Living is a kit that will revolutionize your concept of door. It allows interior designers to increase usable interior space and contemplate new ideas on furnishing even small houses or apartments. It requires no alterations to the wall. The system adapts to all materials, including wooden, glass, metal, or plastic doors and thus imposes no limitations on the design process. ECLISSE Syntesis® Collection will transform your wall into a blank canvas to release your creative energy. The collection is formed of a modular system able to combine different technologies: pocket sliding doors, hinged doors and baseboard. The concept that unites the products in the Eclisse Syntesis® Ccollection is the absence of external frames (jambs and architraves). This results in sliding pocket door systems and flush wall installation for hinged doors and baseboard. A concept for designing a space without compromising on functionality, patented technology and aesthetics.